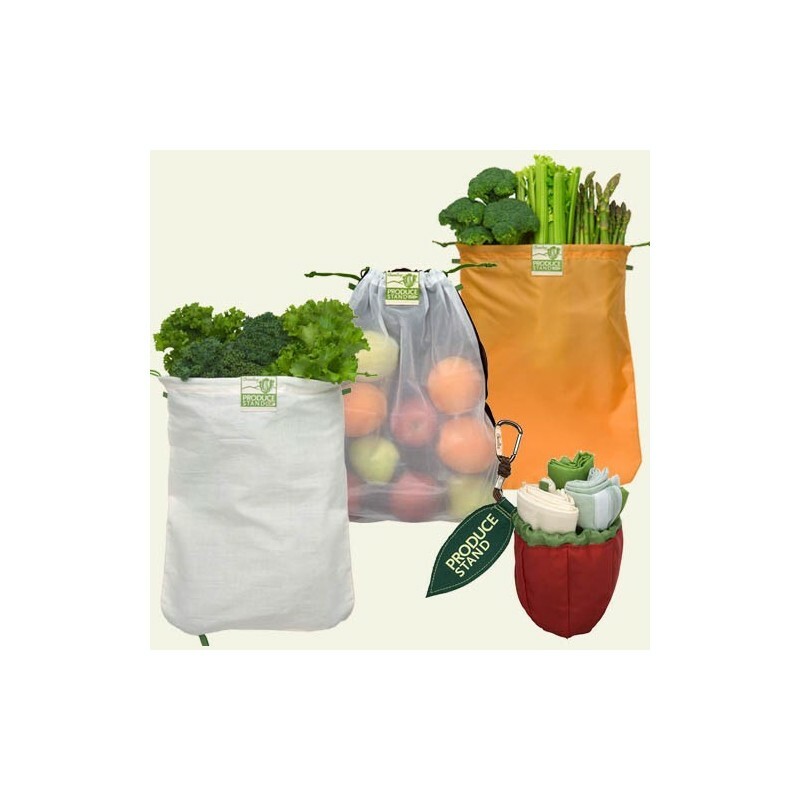 Set of 3 lightweight reusable produce bags designed to contain, protect and preserve your fruit, vegetables and bulk foods. A great solution for eliminating single-use plastic when you are grocery shopping. 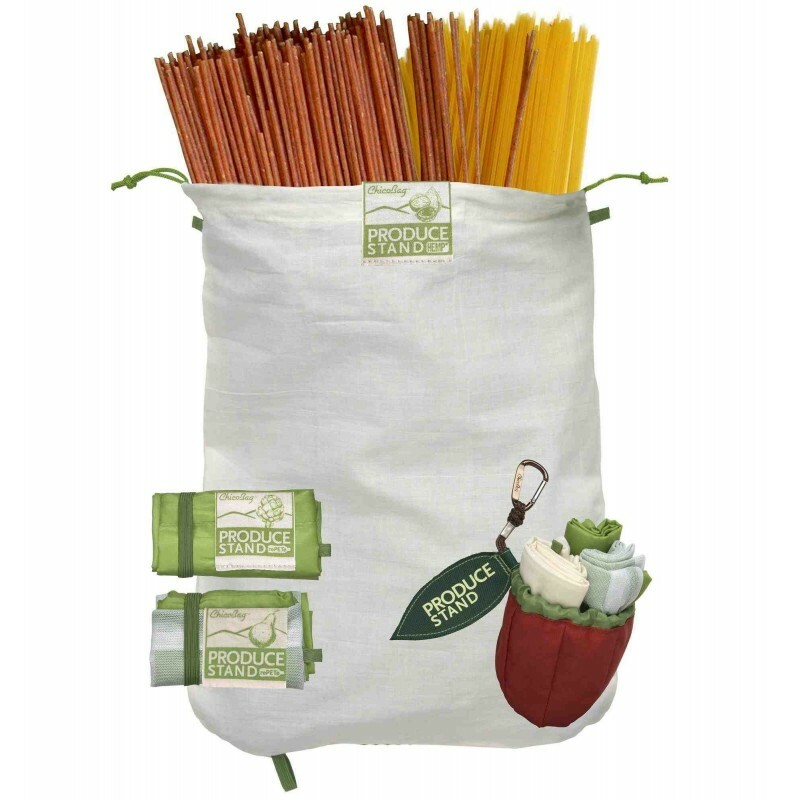 Set of 3 bags each with a different material to suit a variety of produce and a handy pouch and clip for storage. Set of 3 lightweight reusable produce bags in a handy pouch designed to contain and preserve your fruit, vegetables and bulk foods. A great solution for eliminating single-use plastic when you are grocery shopping. Easy care - machine or hand wash, hang to dry. Consuming less over time: Reusing a bag instead of using a new bag at the supermarket each time is good news for the environment. 3. Low breathers (store in solid bags): asparagus, beetroot, mushrooms, carrots, celery, cucumbers, turnips, zucchini, ripe berries, all other fruit not in the medium category. Bonus tip! * Keep ethylene emitting produce separate from other produce to prevent over-ripening and premature spoilage. The top five producers of ehtylene gas are cantaloupes (rockmelon), apples, apricots, pears and avocados. 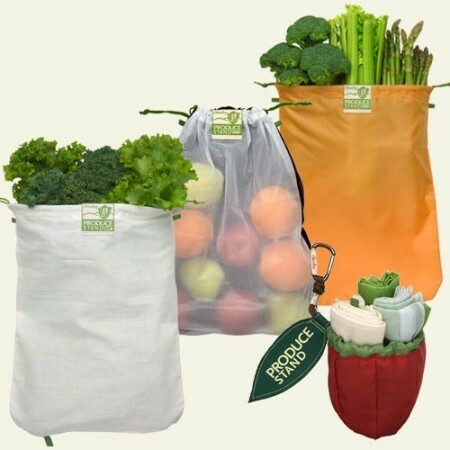 They do the job, but I personally prefer to buy natural produce bags. Seeing as produce bags need to be washed frequently, unfortunately, these will shred microplastics in the water each time - very very bad for the environment and our health (look it up). The mesh one also stains very very easily and looks grubby within a short time of regular use. It doesn't go away with washing it. Love the different materials for different items. There is one for everything. Keeps things fresher longer. It was the gorgeous way these bags were packaged which caught my eye -neatly and conveniently packaged in a cute little 'apple' was impossible to refuse. I can honestly report I use them every week to do my fruit and vege shop and they have been strong enough to carry a whole range of produce. I love the variety of different materials and haven't reached for a single-use plastic produce bag since.